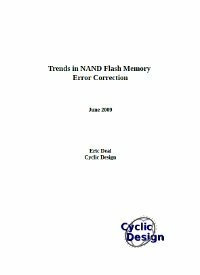 Thank you for your interest in Cyclic Design's "Trends in NAND Flash Memory Error Correction" whitepaper. It can be downloaded directly from the thumbnail on the left. Have a Question? Ask Cyclic Design!